Minister Ranawaka. Picture by Kelum Liyanage. 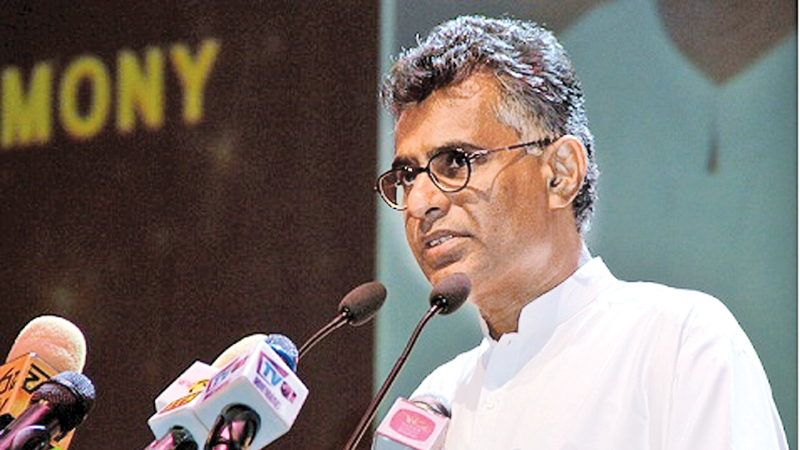 Sri Lanka is far ahead of some western countries where equality of employment opportunities and salaries between and male and female is concerned, Megalopolis and Western Development Minister Patali Champika Ranawaka said yesterday. He made this observation pointing out that one of the leading news in the international media yesterday was that females’ salaries was tallied with males in Ireland. He added it was a main topic since until then, males there were granted a higher salary than females though they engaged in the same employment. “So we are proud to declare that there has never been such discrimination here,” Minister Ranawaka said. “Even though those countries are developed, they stand backward in history when equality is concerned.Even in countries like Switzerland though developed, females do not have franchise at the local government elections in their country”. He made these observations at an event held at the Bandaranaike Memorail International Conference Hall (BMICH). He also pointed out that when a student is admitted to a school for free education, the race, religion, creed, caste or the gender of the applicant are not of concern. He added that the same scenario is applied when one is recruited for employment. Minister Ranawaka further said that it was a fact that although Sri Lanka was not economically sound, yet it is on par with the developed world where education is concerned. He added that the best results at GCE Advance Level always reported outside Colombo.